The Texas School for the Deaf (TSD) graduates a record number of seniors in the school’s recent history. 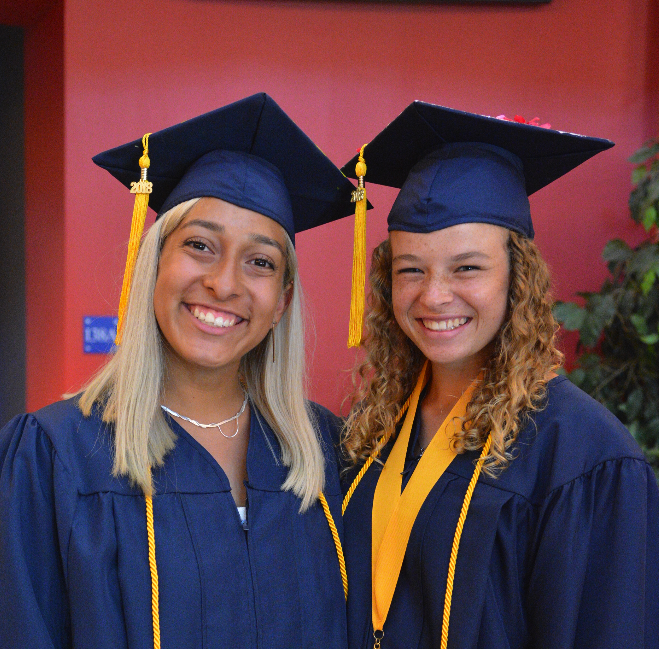 Click here to see the Photo Gallery or watch the Graduation Ceremony (video). 70 TSD graduates received diplomas during commencement exercises at Texas School for the Deaf. TSD proudly welcomed Texas Senator Donna Campbell to deliver the commencement address to the Class of 2018. 15 of TSD’s brightest graduates were from the Senator’s district, which includes San Antonio, New Braunfels, Dripping Springs, and South Austin. Senator Campbell, a true friend to TSD, and Texas’ Deaf community helped kick-off Texas Association for the Deaf’s (TAD) 2016 Symposium in New Braunfels and has worked with TAD on important legislative issues impacting Texas’ Deaf citizens. TSD celebrates a year of academic achievements with a record number of dual credit course offerings for high school students in collaboration with Austin Community College. TSD also celebrates the Performing Arts Program’s success at the box office with the 2018 high school production of NOISES OFF! A banner year for TSD athletes, the TSD Varsity Track and Field team won Team Overall Champions for both girls and boys at the annual Berg-Seeger Classic, and the Varsity Lady Rangers Volleyball team won their first back-to-back title at the annual Spike-Out Tournament. The Lady Rangers Basketball team won the Clerc Classic this year, and the Lady Rangers Softball team celebrates a 4-year streak as National Champions. At TSD since 2001 when she enrolled as an infant, 2018 TSD Valedictorian, Jaelene Etkie, bleeds Ranger blue. Etkie’s mom is a tenured teacher at TSD, her father a teacher and coach at TSD, and her older two siblings are both TSD graduates. Etkie’s younger sibling is now a sophomore at TSD. Salutatorian, Kimberly Gonzalez - from Grapevine - enrolled at TSD in high school, in 2014. Both graduating seniors have been active members of the Junior National Association of the Deaf and involved in school sports. Etkie and Gonzalez have both been accepted to Gallaudet University and will attend the world’s only liberal arts university designed for deaf and hard of hearing students, in Washington, D.C.
84% of TSD’s graduates are set to attend community colleges, universities, continuing education programs or have secured work.